This is my seventh novel and second in a new series about turning points, possibilities, and second chances (see Crossroads Collection). This is a little different sort of book for me. 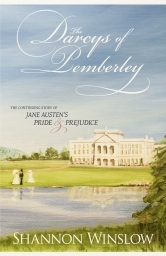 Although it is very much a Jane Austen fan fiction piece, it isn’t a direct sequel or variation of one of her books. It actually contains references to all six of them (but mostly Pride and Prejudice and Mansfield Park). It even starts in a different time period than usual. I say “starts” because the action doesn’t stay in the modern day. Yes, you guessed it; there is major time slippage involved, which was definitely a new challenge for me to write! Our perky and impossibly optimistic heroine Hope O’Neil gets to live out a fantasy many JA fanatics have pondered – what it would be like to wake up in Regency England, young, single, and ready for romance. Would it be everything we imagined? For Hope, things don’t go exactly according to plan. She’ll get her happy ending, but only after a lot of detours, twists, and turns! I had a delightful time writing Hope’s story with humor and good campy fun. I hope you will enjoy it too! At the Crossroads Center, they’re in the business of handing out second chances. And their newest client is Hope O’Neil – college student and Jane Austen devotee, who has always believed she’d be more at home in the past, wearing corsets and courted by men in cravats. But can a modern girl really fit into a world with no electricity, cell phones, or indoor plumbing? 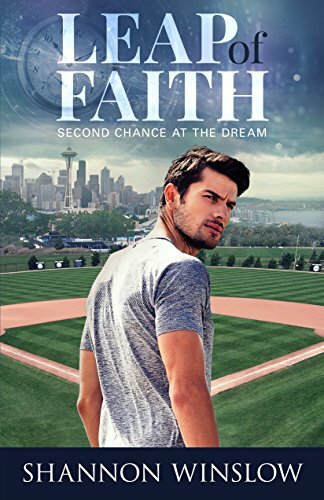 Hope is about to find out when her wish for an Austen kind of life is unexpectedly granted. 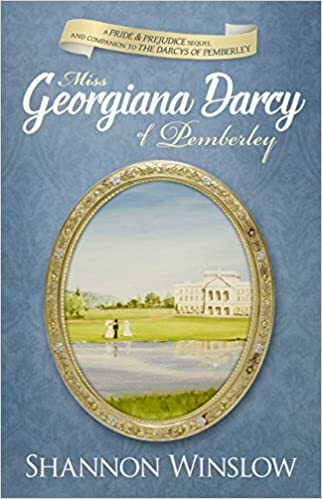 Although she envisions her second chance will be like something straight out of Pride and Prejudice – complete with her own Mr. Darcy and a romantic happy ending – she gets more than she bargained for in this delightful romp through Regency England… a lot more. Leap of Hope is currently available in Kindle and paperback. 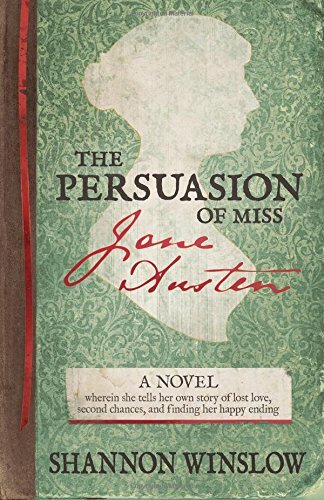 Hope O’Neil – recent orphan, college student, and Jane Austen devotee – awoke completely uninjured but mystified to find herself in unfamiliar surroundings. The last thing she remembered, she had been minding her own business, just walking down one of the many tree-lined sidewalks on campus, on the way from her freshman English class to a ten o’clock appointment with someone by the name of Mrs. Tanaka, a guidance counselor. It was a beautiful spring morning – deliciously cool but already hinting at the balmy South Carolina summer ahead. The air smelled of fresh-cut lawns. Larks and wrens were singing. Pink magnolia trees had begun bursting into bloom all over town. Long-legged youths in khakis and polo shirts played Frisbee on the quad. In short, it was the sort of day that made a person glad to be alive. And Hope was… glad to be alive, that is. No, her life wasn’t perfect. For one thing, she was pretty much alone in the world. She’d never had any siblings. Now her parents were gone. And she still hadn’t stumbled across the hunky-but-sensitive man of her dreams that the Regency era novels she read inspired her to expect. Yet her native optimism, which had allowed her to move beyond the tragedy of her parents’ deaths a year and a half before, also told her Mr. Wonderful was bound to turn up at any moment. She was sure some romantic adventure lay in store for her, at least she dearly hoped so. In the meantime, she planned to focus on finding her calling. The fact that she didn’t know exactly where she was headed, career-wise, wasn’t at all unusual. Less than half of the kids on campus had decided on their major by the end of their first year. Most of the others had changed their minds at least once. It wasn’t so much that nothing interested her. Quite the opposite; nearly everything did. College was a glorious buffet to Hope, with a hundred tantalizing entrees to pick from. English literature had the upper hand at the moment, but public health, environmental science, art history, and even paleontology had all been contenders at one time or another. Making a definite choice was the challenge, and, even more difficult, sticking to it. But that’s what guidance counselors were for, right? – to help students who lacked clear direction get things sorted out? Even though she had never met the woman, Hope placed the utmost confidence in Mrs. Tanaka’s ability to do just that. And there was plenty of time to get herself sorted, have adventures, and fall in love, she reasoned. After all, she was only nineteen. Ironically, that’s what Hope O’Neil was thinking that April morning as she leisurely made her way toward Grady Hall. Then suddenly she heard a roaring noise overhead and time ran out. Are you intrigued to hear Hope’s story? 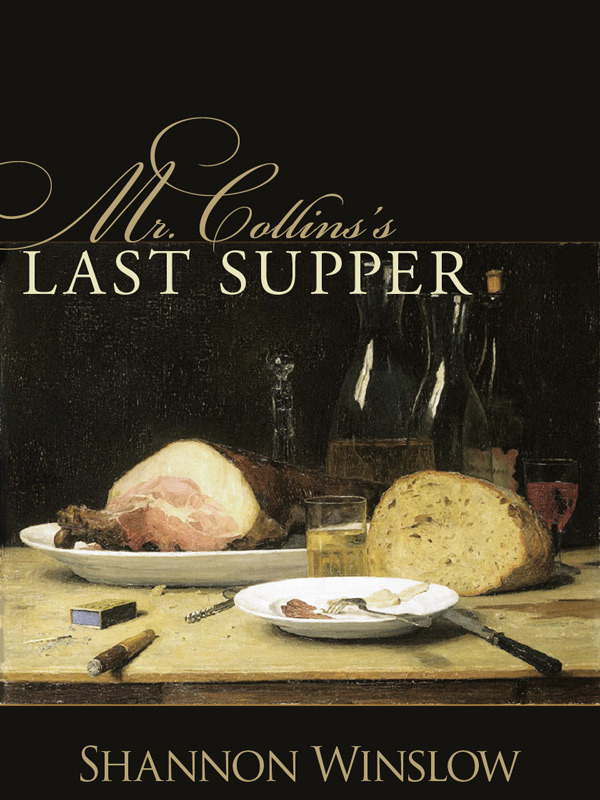 How do you think a modern-day coed would deal with the confining facts of Regency life? 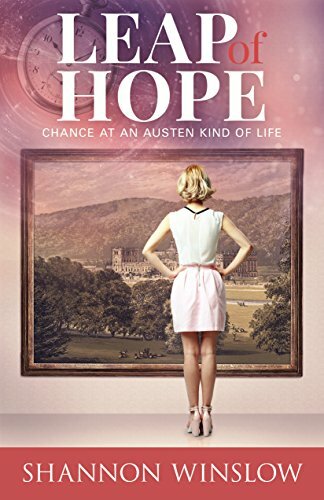 Would you like to see Hope discover her Mr. Darcy, or would it be more interesting if she got sidetracked by a rake such as Wickham or Henry Crawford? I had the same questions when I started, and it was fun discovering the answers as a wrote! Very intrigued! A modern-day coed would certainly have some major adjusting to do! I think she will miss her showers most of all!